We’re a network of young professionals in London who are passionate about the United Nations and how it makes a difference to the world we live in. We run events, campaigns and networking events focusing on a wide range of issues, including human rights, security and the environment. Westminster UNA Young Professionals have continued their ‘Meet the Ambassador’ series, hosting HE Amar Abba, Ambassador of Algeria and Dean of the African Union Heads of Mission in the UK. Prior coming to London, Mr Abba served in Luanda, Brasilia and Geneva. His ambassadorial postings have been in Tanzania, Greece and the Russian Federation. In opening the meeting, Harry Wright, Chair of Westminster UNA Young Professionals, thanked Ashfords LLC for their hospitality in hosting the meetings series. He then introduced the ambassador, noting that Anglo-Algerian relations go back four hundred years and recommending the famous Algerian Coffee Stores in Soho has been operating since 1887. Mr Abba titled his address Algeria and Multilateralism and gave his audience an overview of major events in Algeria’s development since its battle for independence led by the Algerian National Liberation Front and won in 1962. From then on, Algeria has played an important role in the development of the Non-Aligned Movement, hosting important conferences during the 60s and 70s. He referred also to Algeria’s success in conflict resolution and peacebuilding, noting contributions in these fields by Lakhdar Brahimi and the late Mohamed Sahnoun. Following his address, Mr Abba answered a number of questions covering Algeria’s role in the African Union, its relations with Europe and democratic routes to presidential succession. Following the meeting, the Westminster Young Professionals hosted a networking meeting in the nearby ‘Draft House’. In early September, the United Nations Association Westminster Young Professionals Association shared their concerns for the fate of Nazanin Zaghari-Ratcliffe following her continued detention by Iranian officials in 2016. They expressed their grave concern at her current deteriorating situation. “Striving for uprightness is never easy, but history has shown that with sheer persistence and unimaginable determination, justice can be achieved. It is here again that we hope that the government can take action and Nazanin will soon be free” the Young Professionals wrote. For the second ‘Meet the Ambassador’ meeting, Harry Wright, Chair, welcomed HE Mr Igor Pokaz, ambassador of Croatia, to address members of the Young Professionals and UNA Westminster. In his wide-ranging address, Mr Pokaz, recently arrived from Moscow where he served as ambassador, spoke about his earlier service with his country’s mission to the United Nations in New York and serving with the UN in the field. He referred to Croatia’s recent history, leading to its successful applications for membership of the European Union and NATO. These alliances were important for a small country, he stated, referring also to that week's election results in Croatia's neighbour Slovenia where efforts to form a new government around an anti-immigration policy was being watched closely in Croatia. Also he spoke about news from Serbia where President Vucic had restated his opposition to NATO membership. Croatia’s President and Prime Minister were confident however of its chosen course, seeking new opportunities for trade with new partners. In passing, he surprised his audience with the news that the electric-powered Jaguar E Type which Prince Harry drove his new bride to the wedding party had been built in Croatia by Rimac, the leading developer of advanced electric traction systems which works with such companies as Aston Martin, Jaguar Land Rover, and Renault, as well as Siemens and Magna Steyr. Following his address, Mr Pokaz invited questions which covered a range of topics. Following the meeting, Harry Wright thanked Mr Pokaz and his colleague Mr Domagoj Rogulj who was instrumental in setting up the event. Later, all repaired to the Draft House for a thirsty networking session. The next ‘Meet the Ambassador’ will be in September. 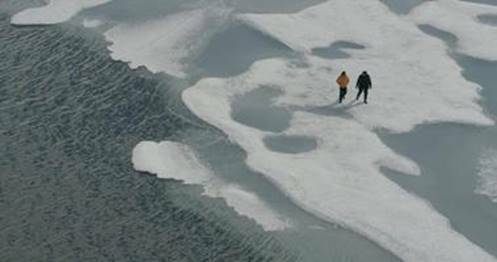 Harry qualified as a lawyer in September 2016 and now uses his legal expertise, working at ClientEarth, to find practical solutions to some of our most challenging environmental problems. He is the co-founder and director of The Conservation Project International (TCP-I) which links young conservationists with critical conservation projects around the world. Harry is a passionate advocate for the UN and for internationalism. He visited the UN Headquarters in New York in 2017 and was invited to address the UN Climate for Youth conference in Bonn held immediately before COP23 (2017)). Harry firmly believes that the UN is a force for good in the world and looks forward to inspiring a new generation of young professionals in helping to secure a more sustainable and brighter future for all. Isabella became Deputy Chair of the UNA Young Professionals in 2016. She works primarily in the Financial Services, FMCG, Media and NGO sectors in Europe, the US, and Asia, and she enjoys every bit of the spirit of internationalism in the experience that has took her through. With her expertise in the corporate world, Isabella has developed her strong interest in international affairs and studies, committing herself to help and contribute to a better world. 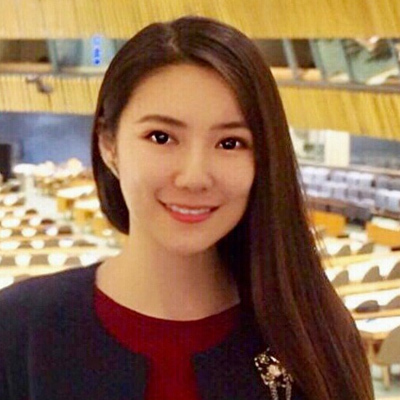 Isabella first joined UNA Westminster Young Professionals in 2015, following her participation in the UNA Study Tour to the UN Vienna International Centre. She also joined the UNA Study Tour to New York (2017) and was a delegate at the 14th session of UNCTAD in Nairobi, jointly presenting the Youth Declaration 'Moving towards an inclusive and equitable global economic environment for trade and development', later to become UNCTAD policy in support of the UN’s SDG 2030 Agenda. Isabella believes that the young generation has the compelling obligation to 'shape the world we want' and to improve the equality, justice, and freedom for the international community, with the UN as a strong driver, now and in the future. Beatrice is a Brazilian journalist who has been studying the impact of the internet on the spread of extremism worldwide. 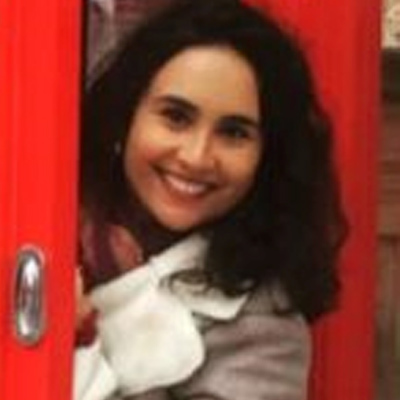 She graduated in Social Communication and Journalism from the University of Rio de Janeiro and is an MA student at the University of Westminster on a Chevening Scholarship. She founded Words Heal the World and was invited by the Radicalisation Awareness Network of the European Commission to participate in programmes to create online campaigns around counter and alternative narratives. 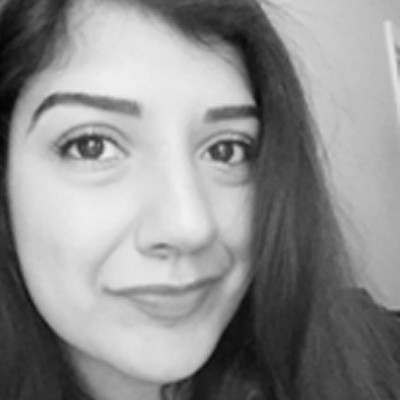 Saima is a Litigation Associate based in London. 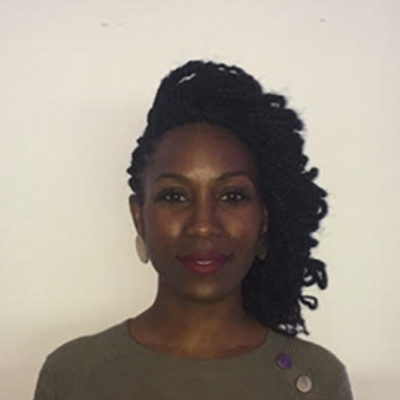 She is also involved in human rights projects including a BME lawyers group providing strategic assistance on the Grenfell Tower fire and helping refugees on international asylum related matters. Saima wants to use her experience to do something life changing such as the end of global corruption and restoration of human rights. She joined the UNA-WYP last year and is currently involved in a campaign to encourage young citizens to support and promote Sustainable Development Goals. My link to UNA Westminster goes back to 2012 when I joined as a UNA member. I was privileged to be welcomed to support the delivery of an event bringing together Diplomats from around the world, to reaffirm their countries’ commitment to the Olympic Truce. This event was coordinated by UNA Westminster, featuring the ambassadors of Kuwait and the Russian Federation. My first degree in Education and I have a Level 4 diploma in Events Management. At present I am working towards my Level 7 Postgraduate Diploma in Events Management. Mark is a barrister at 6 Pump Court in London. 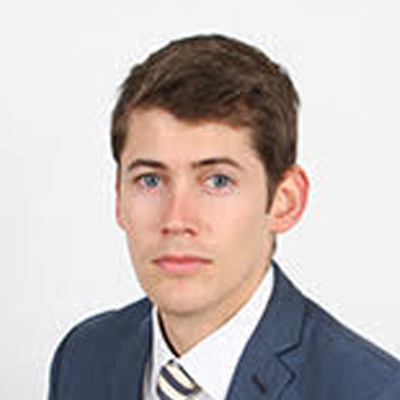 He has a particular interest in environmental matters and alongside growing his practice at the Bar he has been involved for the past two years with the International Court for the Environment project. 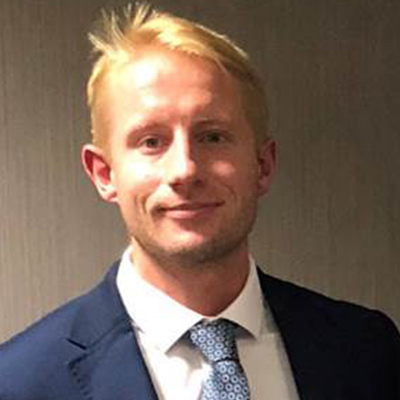 Whilst completing the Bar Professional Training Course, and during pupillage, he was one of the two UK Environmental Law Association Student Advisers and helped to encourage participation in environmental law amongst students across the UK. He firmly believes that more young people should be involved with the United Nations. Westminster Young Professionals have now published the Report of their project, initiated jointly with Liberal International in September 2016, which set out to reignite the Responsibility to Protect debate in the United Kingdom. 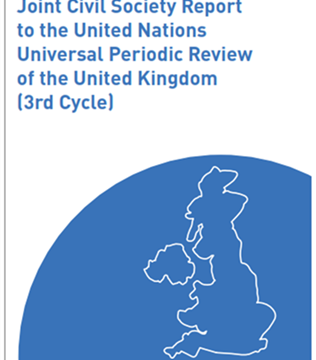 In the Report, they urge UN Member States, and especially the United Kingdom, to reassess their policies regarding R2P. In particular, they urge the British government to initiate parliamentary debate on how R2P can be best implanted into British foreign policy. Click here for the Report. Following criticism of the UK’s lagging performance in promoting and implementing the UN’s Sustainable Development Goals initiative by Harry Wright, Chair of UNA Westminster Young Professionals (News Item 8 April), David Wardrop, Chair, UNA Westminster wrote to all members of the House of Commons Commission drawing attention to this published article. His letter is here and the reply received from the House of Commons Commission is here. “We look forward to seeing the Commission’s 2018 Annual Report duly acknowledging that the UN’s Sustainable Development Goals initiative must impact all UK institutions, even parliament itself. Harry Wright, Chair of UNA Westminster Young Professionals, explains in his article The UN Sustainable Development Goals should not be Terra incognita to Westminster and Whitehall alike how the UK government is still failing to properly address the challenge of the UN Sustainable Development Goals. Also, he shows how our parliament has much to learn from those in Commonwealth partners soon to arrive in London for the Commonwealth Summit. The article can be read here. Westminster Young Professionals will launch the first of their planned monthly ‘Meet the Ambassador’ meetings on 13 March, to be kindly hosted by the law firm Ashfords LLP. The event will feature the longest serving ambassador in London, HE Mr Khaled Al-Duwaisan. As Dean of the Diplomatic Corps, he represents all diplomats in London, liaising with government. UNA Westminster Young Professionals screened the Fisher Stevens documentary Before the Flood featuring Leonardo DiCaprio before a capacity audience at the L’ Escargot restaurant on London’s Soho. Following the screening, Harry Wright, Co-Vice-Chair of the Young Professionals moderated a Q and A session with Paula Owen, founder and CEO of Green Gumption ; Joanna Haigh CBE: Co-Director of the Grantham Institute, Imperial College; and Georgina Shiplee, Sustainability Consultant at Corporate Citizenship. The UNA Westminster Young Professionals group has participated in the year-long programme initiated by the British Institute of Human Rights (BIHR) to produce a Joint Civil Society Report for submission to the United Nations as part of its Universal Periodic Review (UPR) of the UK. The document will be presented when the UN Human Rights Commission embarks on the second cycle of the UPR which studies the human rights situation of all UN Member States every 4.5 years. The UK was one of the first 42 UN Member States to be reviewed. The BIHR Report covers domestic human rights protections such as women’s rights; children’s rights; poverty, welfare and adequate standard of living; criminal justice; counter terrorism; racism and hate crime; Immigration, asylum and trafficking; prisons; additional equality and non-discrimination issues; and access to justice. The Report stresses the need for government guarantees that it will build upon the Human Rights Act (HRA), rather than amending or repealing it via a new Bill of Rights. It argues that refusal to give such a guarantee should be recognised as an indication that there is a significant risk of the human rights framework in the UK being eroded. UNA-UK has also published an excellent submission here. UNA Westminster is one of many civil society organisations which is deeply sceptical about the prospects, in the current political climate, for a new bill of rights to improve human rights protections in the UK. Notwithstanding this, if improvement is intended this can be done without repeal of the HRA, focusing on better implementation of current protections. UNA Westminster especially welcomes the BIHR Report as it successfully moved a resolution in the 2009 UNA Annual Conference proposing that ‘a group of NGOs assist in monitoring the UK’s performance and agree an annual report. “The success and wide support for the BIHR initiative is excellent” said David Wardrop, UNA Westminster Chairman, “and we thank Isabella Qin and Mafalda Damosa of our Young Professionals group in their work on this project. 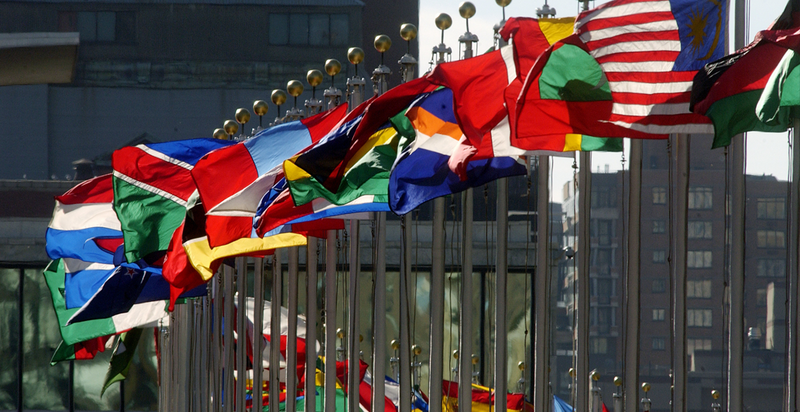 UNA Westminster will be examining the recently published audit conducted by the Committee for the International Convention for the Elimination of Racial Discrimination (CERD). UNA Westminster Young Professionals and Liberal International organised a round table discussion in the House of Lords to review the effectiveness and relevance of the Right to Protect (R2P) concept to the ongoing Syrian refugee crisis. The meeting was addressed by Lord Alderdice, President, Liberal International; Lord Hannay, Chairman, UN All Party Parliamentary Group; Kate Ferguson, Protection Approaches; and Leisha Beardmore, Chair, UNA Westminster Young Professionals Each offered different viewpoints to the challenges faced by states and individual citizens alike. 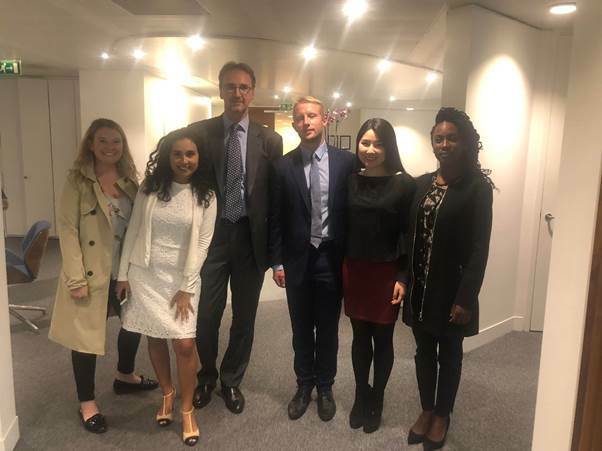 The Westminster Young Professionals stated that their aim was to re-ignite the R2P debate in the UK, raising public awareness and knowledge on the topic and to assist it gather sufficient momentum to generate a debate in parliament in 2016. Later this year, the Westminster Young Professionals will release a follow-up paper setting out their position on R2P and its applicability to the refugee crisis. This will be first released on the Young Professionals blog and Twitter account. Leisha Beardmore is to be the new Chair of United Nations Association Westminster Young Professionals. Leisha is a Gender Justice researcher with OXFAM and also advises Small Island States on environmental issues. 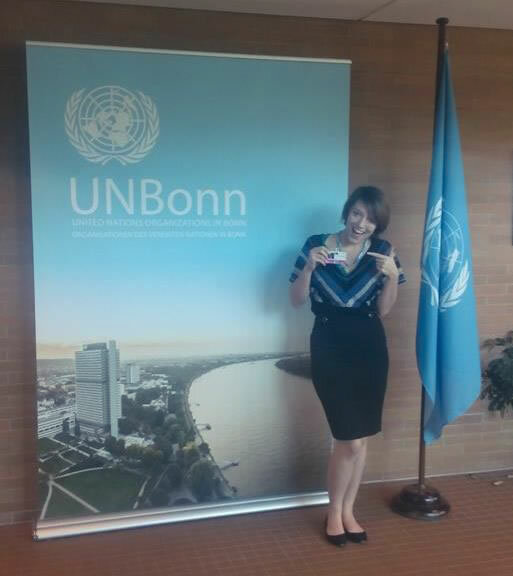 Recently she attended the UN Climate Change preparatory conference in Bonn (picture below). She succeeds Ludre Stevens who remains an adviser to the group and a member of the Executive Committee of UNA Westminster. Leisha will be coordinating representation of the UNA Westminster Young Professionals at the Bar Council’s reception for the diplomatic community in September. She will lead discussions on cooperation with the Young Bar group and the Young Diplomats in London organisation.